I put this nautical-themed birthday card together for a 12 year old boy. 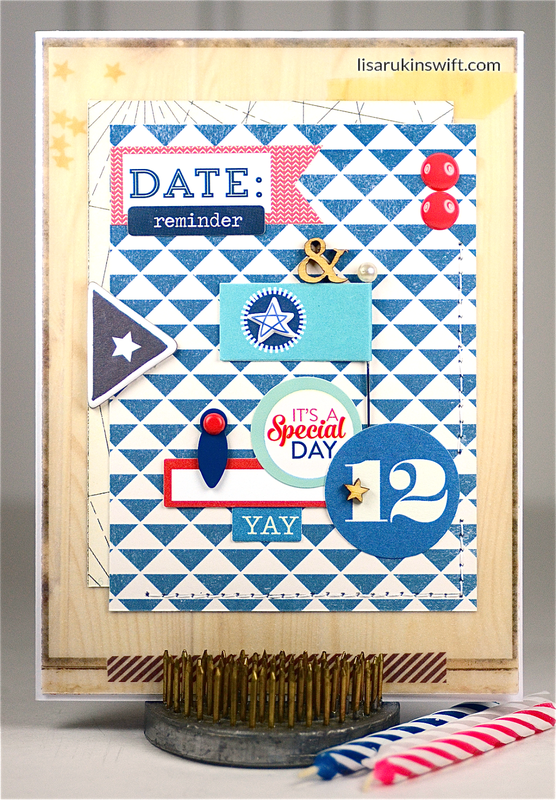 Masculine projects are hard for me, but I think the red, white and blue color scheme really works well, especially with the distressed vellum overlay and woodgrain paper. Here I go again using pink, black and white! I just can't help it. I love the color combo — always have, probably always will. 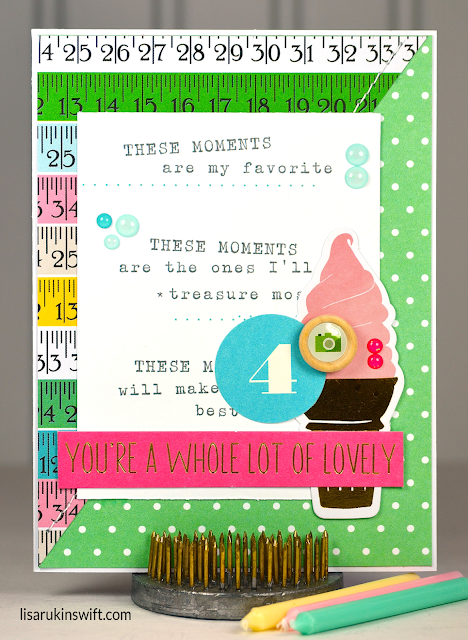 I even added a play on words to this 4th birthday card by using the sentiment, "Four You". 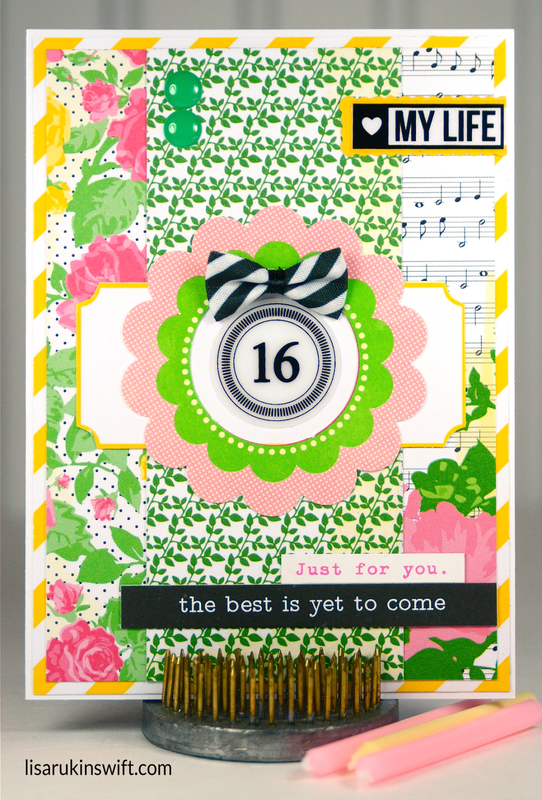 A milestone birthday, like a sweet 16, deserves to be commemorated with a fresh, sophisticated card. 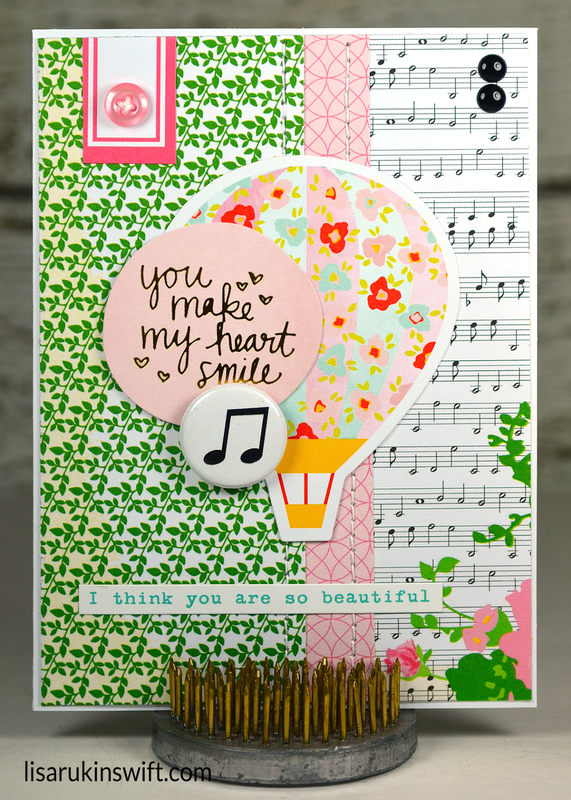 The pretty florals, stripes, flowers, leaves and music notes from Chickaniddy Crafts 365 collection work together to do just that. I'm not even a coffee drinker, but when I saw the Mocha paper from Shimelle's True Stories collection, I couldn't resist. 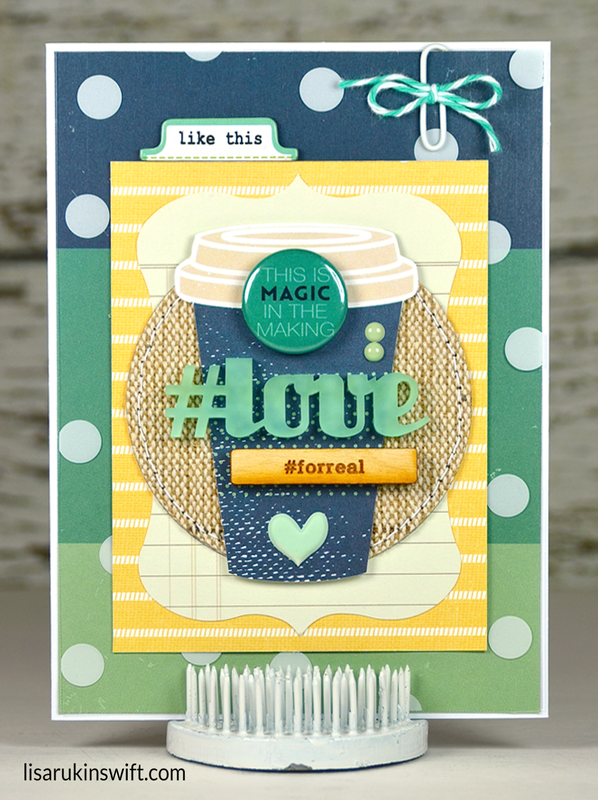 I'm having such fun fussy cutting the cups and making a variety of coffee lover cards. 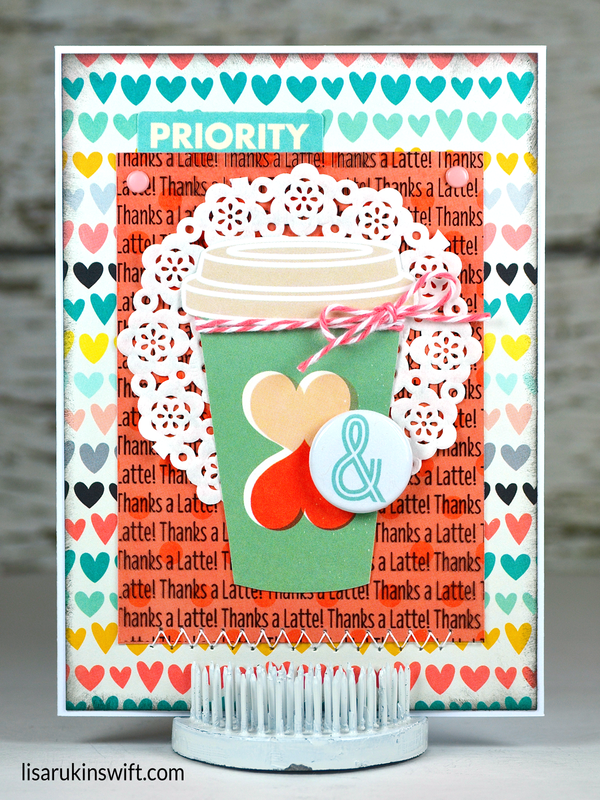 "Thanks a Latte" is probably overused, but I couldn't resist fussy cutting this cup from the Mocha paper from Shimelle's True Stories collection and pairing it with the sentiment. 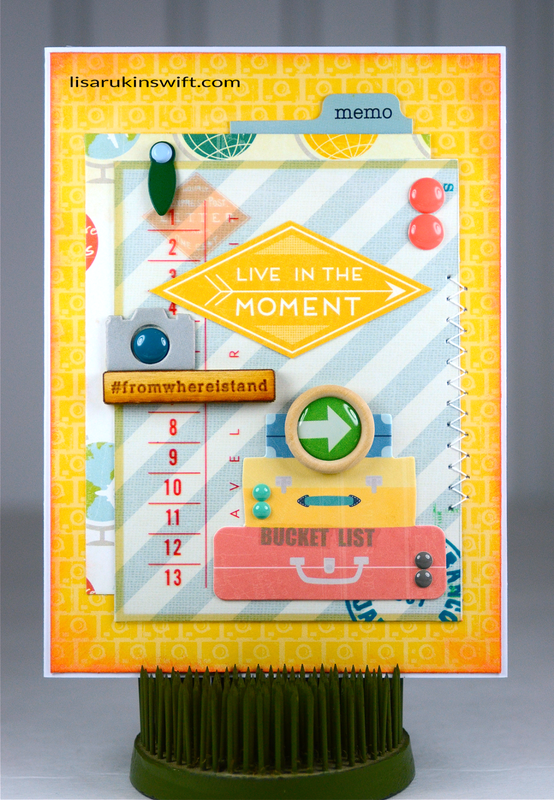 Chip Off the Old Block is the new linky party at Paper Issues. 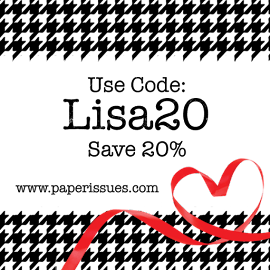 Come play along for a chance to win a $20 gift certificate to the Paper Issues store. 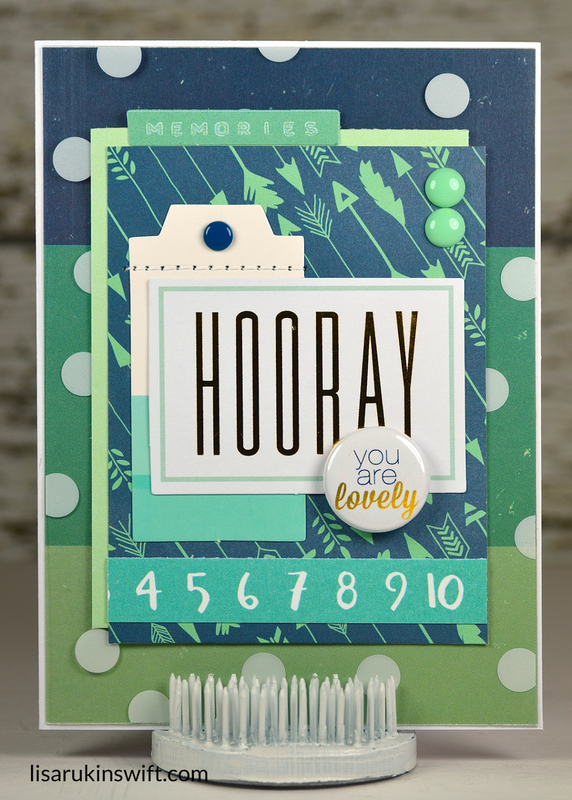 I'll be linking this travel/bon voyage/retirement card up because I used a chipboard camera. I also used items from various Paper Issues Swag Bags, items from my stash and new products as well. 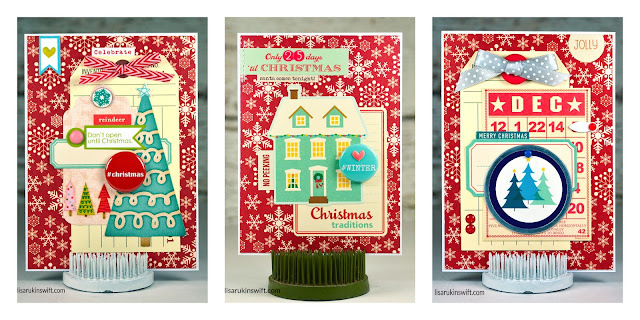 Believe it or not, I've been getting Christmas cards ready for my Etsy shop for about a month. 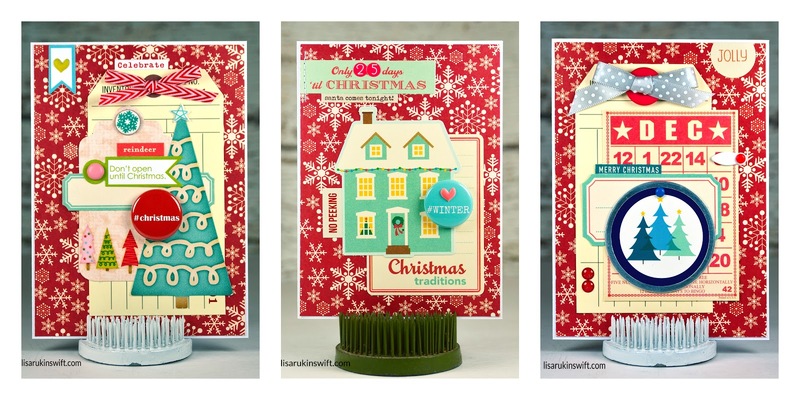 I thought I'd start off slow with a Christmas in July sale. I've made a bunch, but since these all have similar, common elements, I thought I'd share them all together. The majority of the items came from my stash, but I added some newer items as well to give them a fresh, contemporary look. 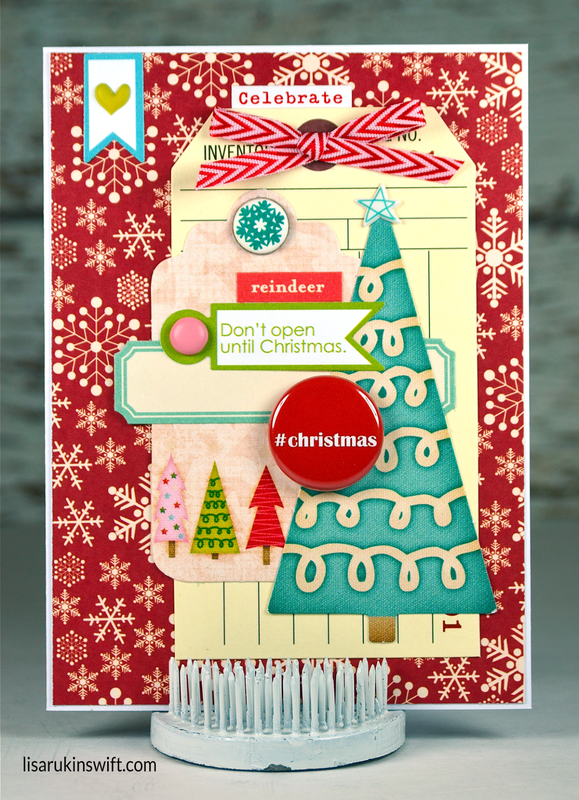 First up is, Don't Open Until Christmas, with a mostly non-traditional and fun color combo. Only 25 Days allowed me to use up a number of stickers from October Afternoon's Very Merry collection. Who remembers this one? 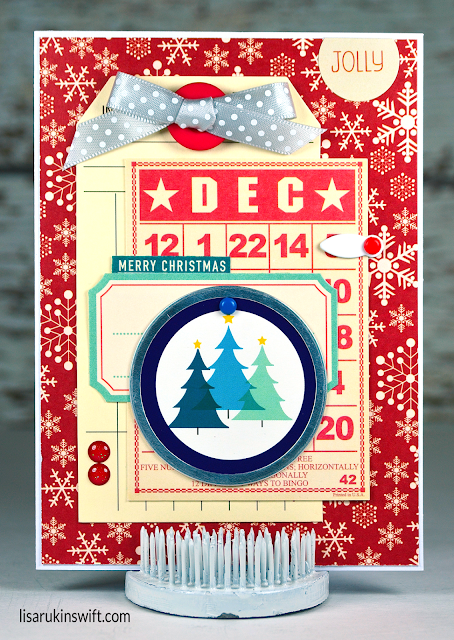 Jolly Merry Christmas is a bit more classic with the red, cream and silver but I couldn't resist adding in some blue. So there you have it — the start of my holiday card making. How about you? 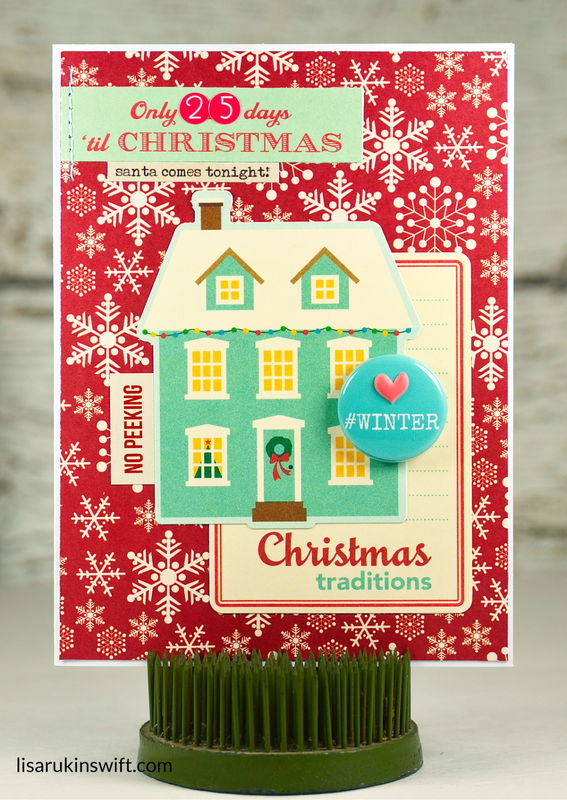 When do you tend to start creating holiday cards and getting your shopping done? Pairing Chickaniddy's 365 collection with ephemera die cuts from Dear Lizzy's Fine & Dandy collection makes for a pretty, fresh, and feminine card. I especially love the hot air balloon die cut. I found packs of ombre, paint chip-style tags in Target's Dollar Spot and couldn't wait to break into the package. 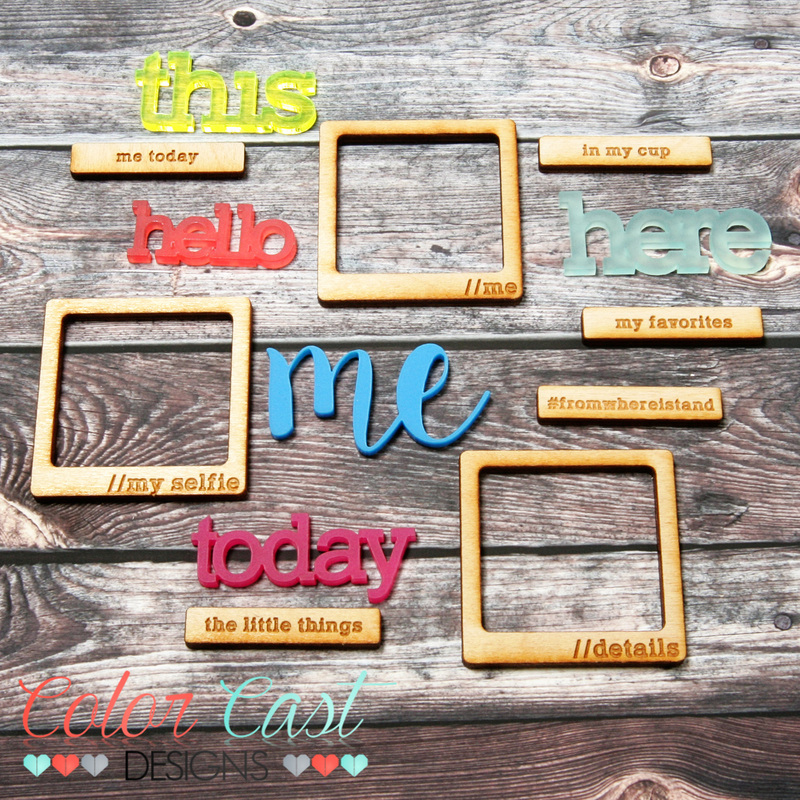 The tags come in two shades of pink and two shades of turquoise/mint green. 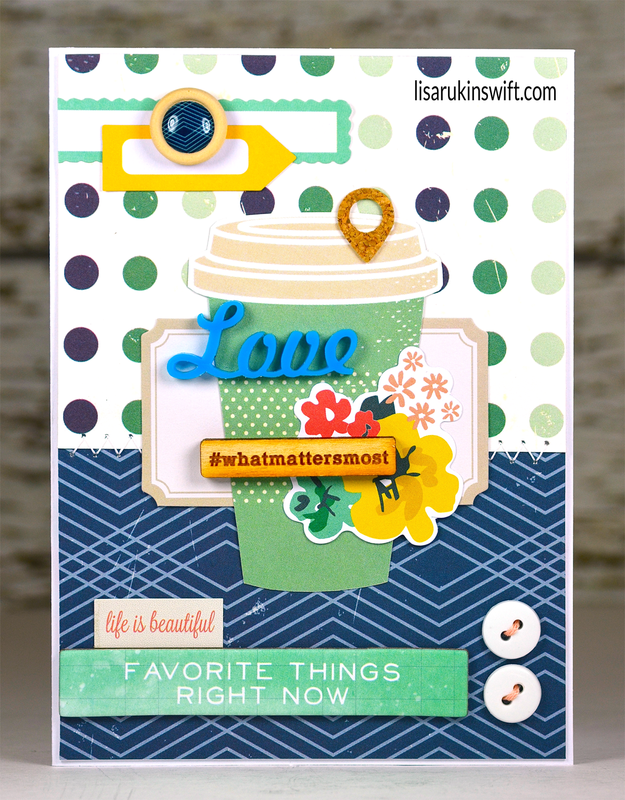 They're super pretty and small enough for cards. I used one on this card and now have seven more to go. I wonder what type of projects they'll end up on? 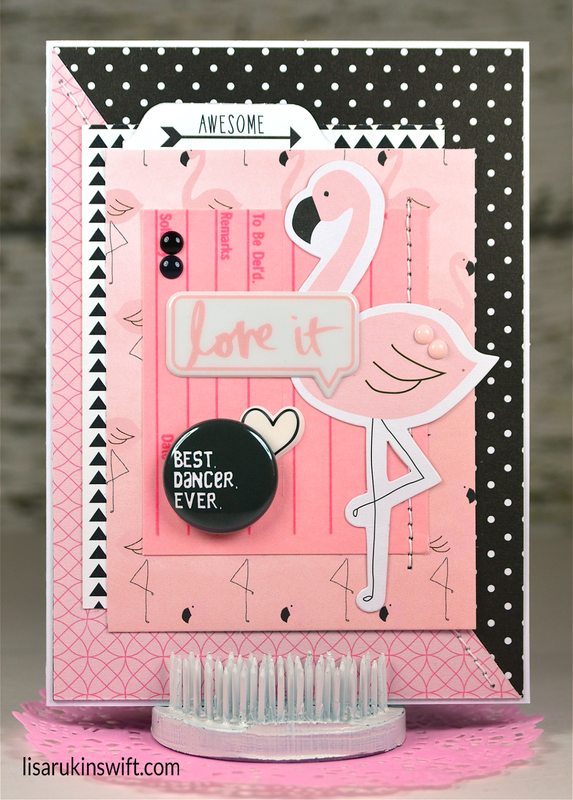 I couldn't resist pairing this cute flamingo die cut and flamingo patterned paper to make a dance recital card. I mean, look at those long legs! Perfect for dancing, right? 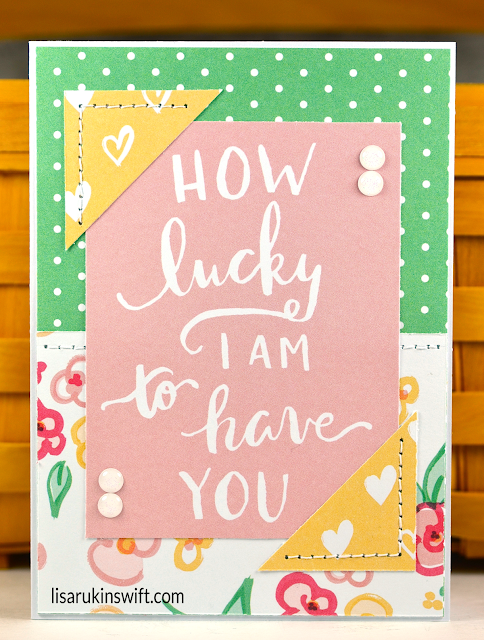 :) An Etsy buyer thought so too because it sold within a day of putting it in my shop. I love when that happens! 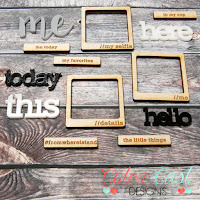 If you're not familiar with Color Cast Designs, I highly suggest stopping by the shop. 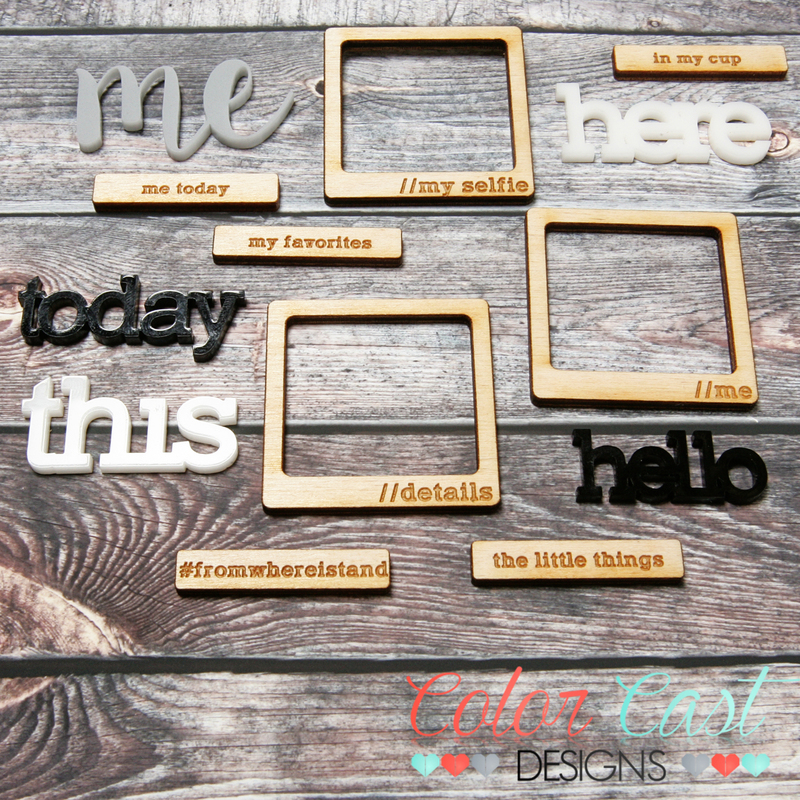 Jessica creates really fun wood veneer and acrylic products in an endless variety of colors and shapes. Last month or so, I shared a number of baby cards made with Elle's Studio Cienna. While I had this pretty collection out, I decided to put together what could be a wedding, anniversary or even a friendship card. The colors are uplifting, fresh and pretty. 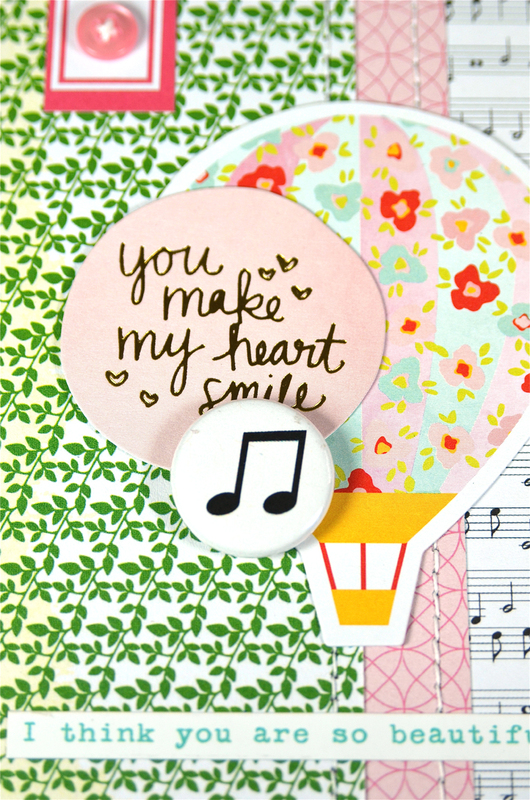 I think they'd be guaranteed to brighten anyone's day, don't you?